Quality Japanese Tinted PVC material can be used in our entire range of outdoor tinted cafe blinds. 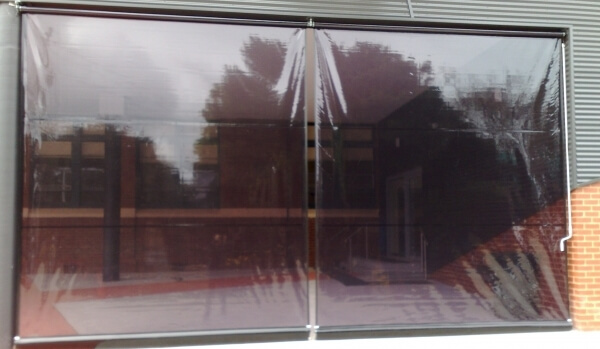 These tinted cafe blinds provide total rain protection with added levels of sun shielding depending on the tint. Ideal protection against Melbourne's wet weather. 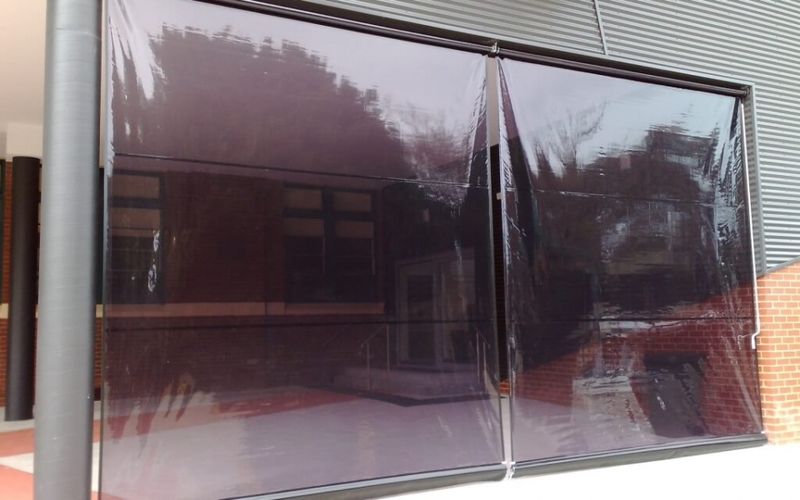 Tinted cafe blinds are ideal where full rain protection is required with some sun glare protection. Tinted PVC can be used with any of the cafe blind systems including; Ziptrack blinds, alfresco blinds and patio bistro blinds. 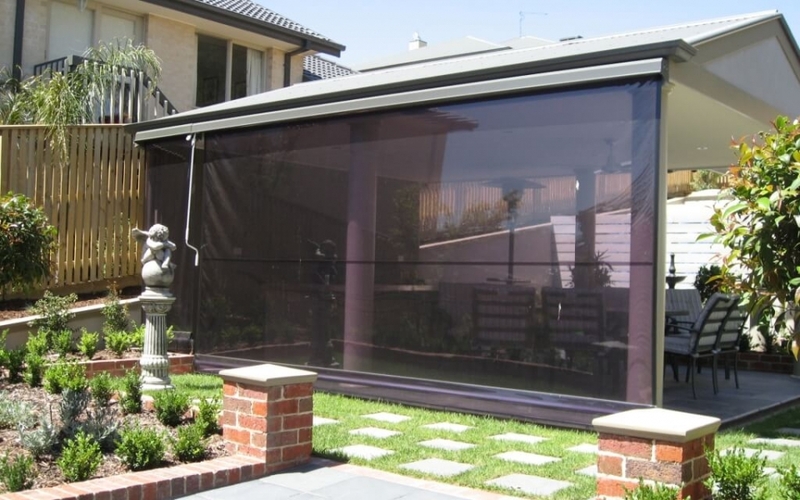 Tinted cafe blinds are ideally suited for alfresco areas like outdoor living areas, pergolas, verandahs and patios. 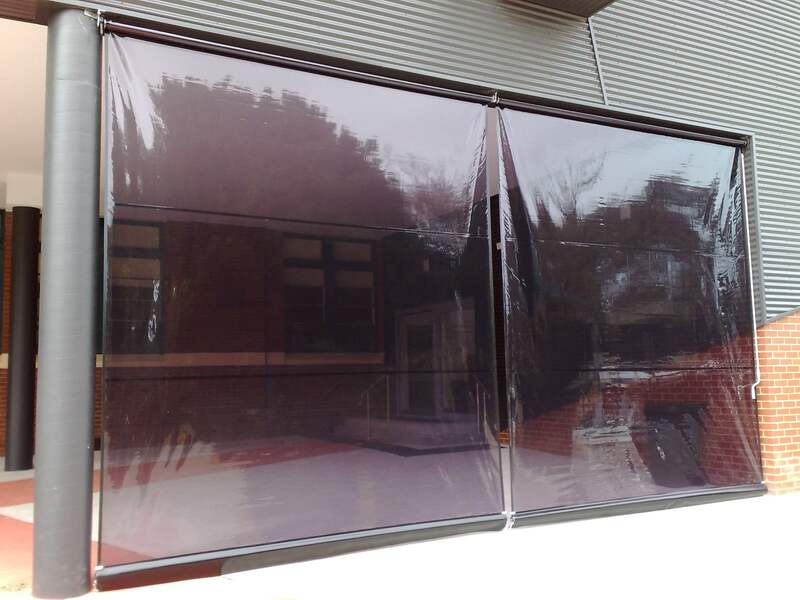 We have supplied and installed them around Melbourne in places like private homes, cafes, restaurants and schools. 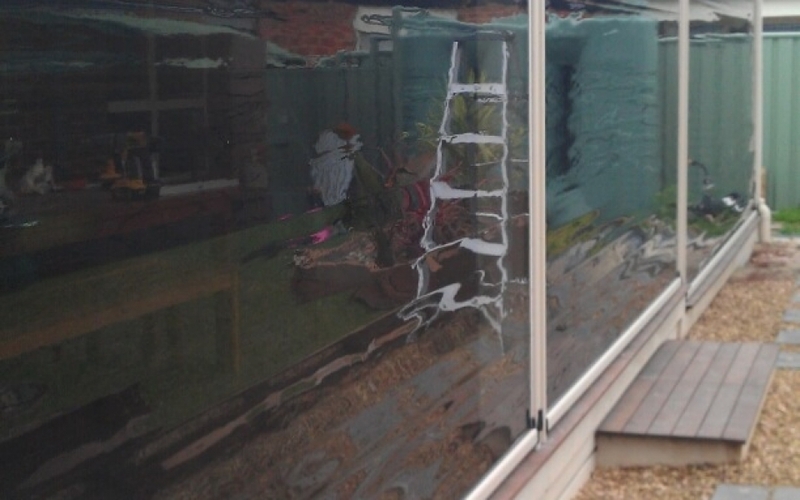 Tinted PVC comes in several different shades and thicknesses, depending on your requirements. From 0.5mm to 1.0mm with four tints; Opal, Smoke Bronze, Charcoal and Grey. 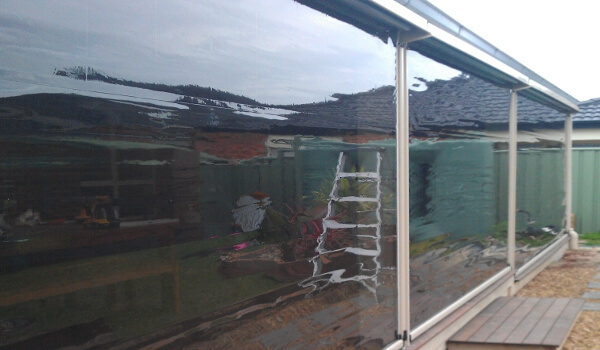 Normally tinted PVC only comes in 1400mm width so joins will be required or larger blinds. UV-R blockout from 92-98%. 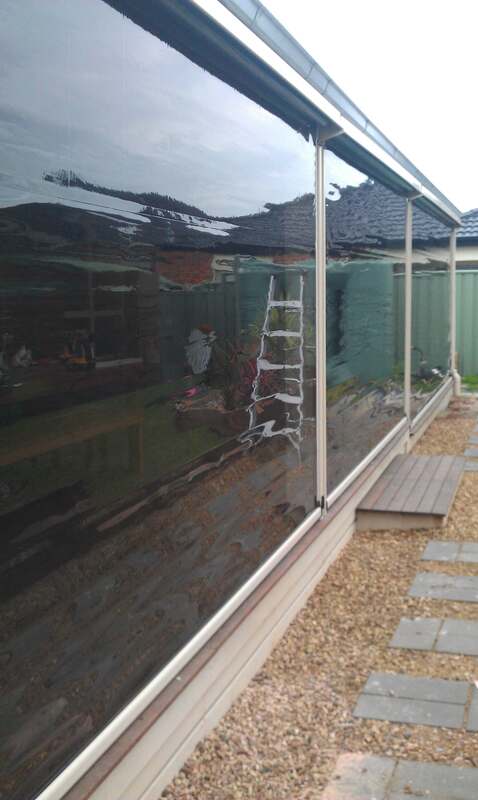 Our Tinted PVC is of Japanese origin who are the world leaders in clarity, consistency and durability. All joins are sonically welded not stitched, ensuring clear and strong bonds. The Japanese tinted PVC comes with a 3 year warranty. Tinted PVC can be uesd on most of our outdoor cafe and alfresco blinds. It’s available in gauges ranging from 0.5mm to 1.0mm. Four tints are also available; Opal, Smoke Bronze, Charcoal and Grey. Choice of vertical or horizontal joins can also be selected on large size blinds.